AASLH is governed by a twenty-one-member Council elected by the membership of the Association. The Council is comprised of leaders in the field of public history, with wide-ranging specialties. Council members serve two years. Interested in serving on Council? Learn more and apply today! Interested in sharing with Council? Messages sent to council@aaslh.org will be presented to the full Council at its next meeting. These meetings occur in late February, late June, and at the time of the AASLH Annual Meeting in August-September. John E. Fleming joined the museum profession in 1980 as the founding director of the National Afro-American Museum and as a senior staff member of the Ohio Historical Society. He is the former director of the National Underground Railroad Freedom Center and the Cincinnati Museum Center. 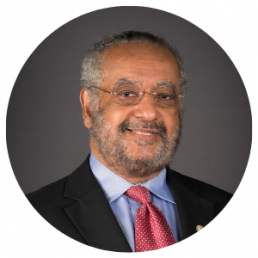 He served as the president of the Ohio Museums Association, the Association of African American Museums, and the Association for the Study of African American Life and History. He served on numerous committees of the American Association of Museums including on the Executive Committee. He was director of the International African American Museum in Charleston and senior consultant for the development of the Mississippi Civil Rights Museum in Jackson. Currently he is the director of the National Museum of African American Music in Nashville. He is a graduate of Berea College where he serves on the Board Trustees. He received his M.A. and Ph.D. from Howard University. He was awarded distinguished service awards from Berea College, The National Peace Corps, the Association of African American Museums, and the AASLH. Norman Burns, President and CEO of Conner Prairie Museum in Fishers, Indiana, is an entrepreneurial leader, museum and non-profit management executive with a 29 year history of successfully developing innovative approaches and compelling visions for operating history and general museums. As the Executive Director and CEO of six different historic sites and general museums in Tennessee, Virginia and Indiana, Burns has developed nationally recognized-award winning interpretive and educational programs, conferences, concert series, publications, and exhibitions. Burns is a highly effective communicator, educator, and fundraiser who has developed visionary strategic, business, development and marketing plans allowing organizations to experience stages of developmental growth in operational and capital income, physical plant, and programming. Burns has served on various boards and committees for local, state, regional, and national cultural organizations and is a long-time reviewer for IMLS, NEH Challenge Grants, and AAM Accreditation and MAP programs. He has his B.A. and M.A. in History from Middle Tennessee State University. Executive Director at the Harriet Beecher Stowe Center since 1998, Katherine Kane directs programs and outreach using the Center’s extensive collections and historic buildings. Stowe was an internationally-known author and advocate and the Center uses her story to inspire social justice and positive change. The Center’s innovative programs include award winning Salons at Stowe bringing the public into the parlor for conversations around contemporary issues; and the biennial Harriet Beecher Stowe Prize for writing promoting social justice. Ms. Kane was a senior manager at the Colorado Historical Society (now History Colorado) where she worked for 16 years, and special projects director at the Denver Art Museum. She has a B.A. in sociology from the University of Denver, an M.A. in anthropology from the University of Colorado and participated in the Getty Trust’s Museum Management Institute. She has been an officer of the American Association for State and Local History, a member of the American Association of Museums Accreditation Commission, and is involved with several Hartford community organizations. 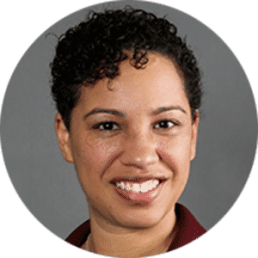 Dina Bailey is Director, Methodology and Practice with the International Coalition of Sites of Conscience, where she focuses on issues of diversity, equity, access, inclusion and empathy through memorialization and strategic planning efforts. 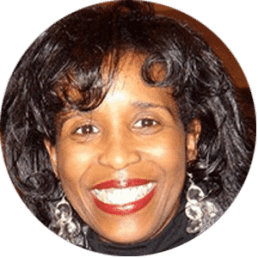 Prior to joining Sites of Conscience, she was the CEO of Mountain Top Vision, LLC, a consulting company that focuses on supporting change management within organizations in the areas of diversity, inclusion, and strategic planning in order to further audience engagement. She has also been employed as the Director of Educational Strategies for the National Center for Civil and Human Rights and as the Director of Museum Experiences for the National Underground Railroad Freedom Center. 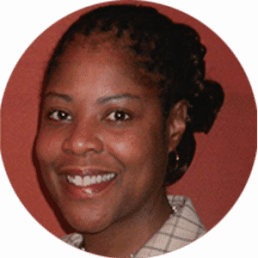 Ms. Bailey holds an undergraduate degree in Middle and Secondary Education, a graduate degree in Anthropology of Development and Social Transformation, and a graduate certification in Museum Studies. She has been published in both the formal education and museum fields. Dina is proud to be on the council of the American Association for State and Local History, the board of the Association of African American Museums, the board of the Next Generation Men, and the Issues Chair for the American Alliance of Museums EdCom, and she tweets from @DinaABailey with a focus on human rights. 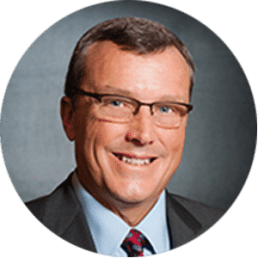 Brent Ott is responsible for evaluating The Henry Ford’s financial performance, participating in the long- and short-range planning process, designing and implementing mechanisms to manage the budget development cycle and advising the President, Senior Management Team and Board of Trustees in terms of budget development. He maintains a strong vision and common agenda for the core business of the organization, working closely with The Henry Ford’s President and Executive Vice President on long-term strategic planning while managing Human Resources, Security, Facilities, and IT in addition to all relationships with lending institutions and investment managers. Ott started his career with The Henry Ford in 2000 and began working in the finance department in 2005 as financial analyst for the institution. Melanie Adams is the Senior Director, Guest Experience and Education for the Minnesota Historical Society. She is formerly Managing Director for Community Education and Events for the Missouri Historical Society. 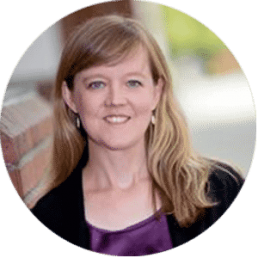 Her professional career includes working at the University of California-Berkeley, California State University-Northridge, Washington University, and as a consultant for nonprofit organizations. Ms. Adams participates in a variety of community organizations. She is a graduate of the Women in Leadership Program of CORO and the Leadership St. Louis program of FOCUS St. Louis. 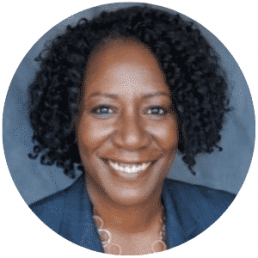 She has served on the AmeriCorps St. Louis board, the Focus St. Louis board, the Women’s Society of Washington University, and the St. Louis Public Schools Foundation. She has served on the Special Administrative Board of St. Louis Public Schools and on the Black Leadership Roundtable. Ms. Adams earned a Bachelor’s degree in English/African American studies from the University of Virginia, a Master of Education degree in Higher Education and Student Affairs Administration from the University of Vermont and a Ph.D. in Educational Leadership and Policy Studies from the University of Missouri St. Louis. Marian Carpenter is Associate Director of Collections/Chief Registrar at the John and Mable Ringling Museum of Art. She was formerly Curator of Collections Management for the Delaware Division of Historical and Cultural Affairs, as well as Collections Manager at the National Civil Rights Museum in Memphis, TN. She received a B.A. in History and Afro-American Studies from Indiana University and a M.A. in American History with a concentration in African American History from the University of Cincinnati. Ms. Carpenter’s museum career started at the Indiana Historical Society where she was employed as an Assistant Archivist. Ms. Carpenter then accepted a dual position as Educator Programmer of the Story Avenue Storytelling Gallery and Curator of African American Materials at the Children’s Museum of Indianapolis. She was the Curator and Registrar at the Banneker-Douglass Museum in Annapolis, MD, and then Registrar at the Smithsonian Institution Traveling Exhibition Service (SITES) located in Washington D.C. for which she traveled extensively around the country installing exhibitions. She is a Seminar for Historical Administration 2009 alumnus and past Captain for AASLH’s Tennessee State Leadership Team. Christy S. Coleman is the CEO of the American Civil War Museum in Richmond, VA. She began her career at Colonial Williamsburg. During her time with CW she had increasing levels of responsibility finally serving as Director of Historic Programs. In 1999 she was named President and CEO of the Charles H. Wright Museum of African American History in Detroit, MI. In 2008, Ms. Coleman was named President and CEO of the American Civil War Center at Historic Tredegar. In 2013 she helped orchestrate the merger of ACWC with the Museum of the Confederacy to create ACWM. She earned her Bachelor’s and Master’s Degrees from Hampton University. Christy has served on a number of local commissions and national boards, among them- the American Alliance of Museums and the American Association for State and Local History. Christy is a tireless advocate for the power of museums, narrative disruption and inclusivity. 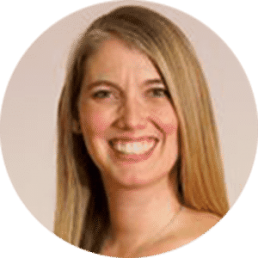 As an independent professional and futurist, Lisa Eriksen assists museums and cultural organizations by providing innovative foresight training and planning services with a focus on envisioning and creating a preferred future. After earning a certificate in Strategic Foresight from the University of Houston, Lisa served as the project director of the California Association of Museums’ Leaders of the Future: Museum Professionals Developing Strategic Foresight, an IMLS-funded program that provided innovative training to museum professionals. Lisa has been invited to lead workshops, write blog articles, facilitate planning initiatives, and give talks focusing on important future trends, such as serving aging populations, developing partnerships to promote community inclusion, and the transformations in, and the impact of technology on, how we work. 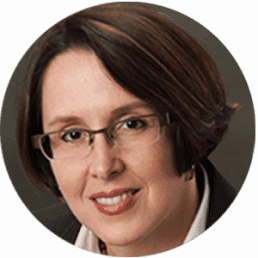 She serves on faculty at the John F. Kennedy University Museum Studies program, where she earned her M.A., and Lisa is a founding member of the CAM Foresight Committee. Kim became deputy director of National History Day (NHD) in 2009. Previously she worked in museum education and administration at the Heritage Center of Lancaster County (Pennsylvania) and coordinated a regional NHD program. Passionate about history education and the informal learning that museums uniquely provide, she has presented about these topics and about NHD as an effective agent for improving history education at the annual meetings of AASLH, AAM, the Mid-Atlantic Association of Museums (MAAM), and other organizations. From 2008-2010, she served as president of MAAM’s board. With Beverly Sheppard, she co-edited An Alliance of Spirit: Museum and School Partnerships, published by AAM in 2010. Kim has an M.A. in History/Museum Studies from Duquesne University and recently completed the Senior Leaders Program for Non-Profit Professionals at Columbia Business School. A native Pittsburgher, she lives in Silver Spring, Maryland with her patient husband, talented teenage son, and three beloved critters. 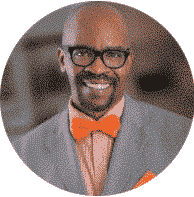 Richard Josey is the Founder and Principal Consultant for Collective Journeys LLC, a consultation and contracting service for museums and historical organizations interested in producing inclusive historical narratives. Richard spent 20 years building inclusive narratives at The Colonial Williamsburg Foundation and the Minnesota Historical Society. Josey began his career in 1985 as a history interpreter portraying African-Virginian experiences in the 17th and 18th centuries, including slavery. In 2001, he became a manager of interpretive programs and soon after supervised staff and developed programs that cross class, race and gender boundaries. In 2012, Josey became the Manager of Programs at the Minnesota Historical Society and directed the development of interpretive programs and provided administrative supervision and support for the Society’s network of 26 historic sites and museums. Richard is an alum of the Getty Leadership Institute and the formerly titled Seminar for Historic Administration, now the AASLH History Leadership Institute (HLI). He serves on the faculty of HLI, as well as the George Washington Teacher’s Institute, is assistant chair for the AASLH Diversity & Inclusion Committee, and also serves on the AASLH Task Force on the U.S. 250th and the History Relevance Steering Committee. Director of the Washington State Historical Society since 2011, Jennifer Kilmer oversees the statewide operations of the Society, including management of the Washington State History Museum in Tacoma, WA, the Research Center and Archives also in Tacoma, and the Historic Lord Mansion in Olympia, WA. Jennifer was previously the Executive Director of the Harbor History Museum in Gig Harbor, WA, where she led a major capital campaign to build the museum’s new waterfront facility. Prior to her work in museums, Jennifer began her nonprofit career working for the Paul G. Allen Family Foundations. 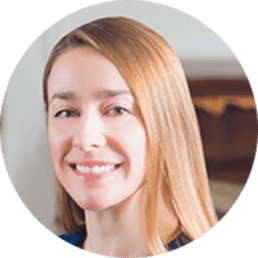 Jennifer earned her undergraduate degree in political science and economics from Wellesley College, and a Master’s degree in politics from the University of Oxford as a Marshall Scholar. In Tacoma, Jennifer is an active member of the cultural community. She is married and has two children. Stacy Klingler has over a decade of experience translating museum standards and best practices into manageable steps for all-volunteer and minimally-staffed organizations. She is currently the Executive Director of Butterworth Center & Deere-Wiman House—a unique combination of community center and historic site where the daily question is how to balance community use with historic preservation. In her previous roles in the Local History Services department of the Indiana Historical Society, Klingler was responsible for planning, developing, and implementing programs and consultation services aimed at improving the professional standards and practices of small local history societies, museums and archives. 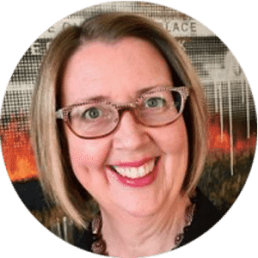 Klingler understands the real life challenges of working in a small organization from her experiences as director or assistant director of three small museums in Indiana and as chair of the AASLH Small Museums Committee. She is the co-editor of The Small Museum Toolkit and attended the Seminar for Historical Administration in 2006. Erin Carlson Mast is the Executive Director of President Lincoln’s Cottage, where she oversees strategic development and stewardship. A staff member since 2003, Erin played an integral role in developing the site experience for the 2008 grand opening. In her previous role as Curator, Erin spearheaded a number of projects that won national awards. 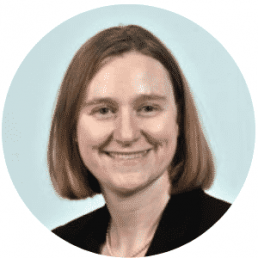 Since assuming the directorship in 2010, Erin has led the site through a new strategic plan and broke ground on numerous public and private partnerships and board development. 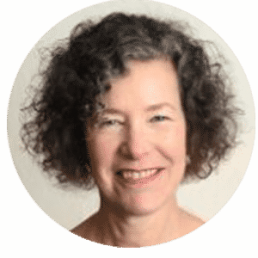 She has authored pieces for History News, The Public Historian, and Forum Journal, and contributed a chapter to Museums of Ideas: Commitment and Conflict. Erin received her M.A. in Museum Studies from The George Washington University in Washington, D.C., and B.A. in History from the Ohio University Honors Tutorial College in Athens, OH. As VP of Business and Operations for the Indiana Historical Society, Jeff Matsuoka has lead the finance/accounting, HR, IT, facilities, retail/wholesale, special events, security, foodservice, facility rentals and visitor service functions for the institution since 2007. He has also served as the interim VP of Education and Community Engagement for the past year overseeing educational programming, exhibitions, and local history services. 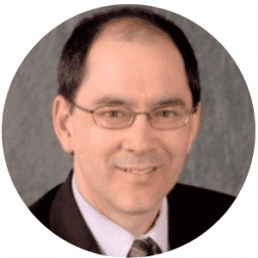 He is a current member of the AASLH Audit Committee and previously served as a member of the Investment Committee and a SHA participant and faculty member. Prior, he was Theater Director for the IMAX Theater coordinating its integration into the newly built Indiana State Museum where he later served as VP of Operations and Marketing. He has 8 years management experience with Marriott International and is a graduate of Purdue University with a MS degree in management from Indiana Wesleyan University. In 2012 Steve Murray was elected to be the sixth director of the Alabama State Archives in its 111-year history. He had been assistant director since 2006. Prior to that Steve was the editor of the Alabama Encyclopedia of History and managing editor of The Alabama Review. His MA in History is from Auburn University and his BA in English and History is from Louisiana College. Steve has been active in AASLH, serving recently on the Program Committee and the Advisory Committee for the 250th Anniversary of the U.S. He graduated from the Seminar for Historical Administration in 2009. He also serves on the Advisory Committee for the Alabama Sate Bicentennial (2019). Sarah Pharaon serves as Senior Director, Methodology and Practice with the International Coalition of Sites of Conscience, a worldwide network of places of memory dedicated to remembering past struggles for justice and addressing their contemporary legacies. Her work includes oversight of professional training across the Coalition membership as well as the organization’s Immigration and Civil Rights Network. From 2010 – 2014, Sarah led twenty-five U.S. museums in the development of the National Dialogues on Immigration Project. Previously, Sarah worked as Director of Education at the Lower East Side Tenement Museum. Ms. Pharaon was the founding curator of the Arab American National Museum. 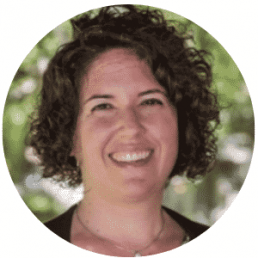 Ms. Pharaon is a consulting trainer on dialogue for the National Park Service, an instructor at the Seminar for Historic Administration and is the curriculum designer for the AASLH training program, Can You Hear Me Now: Connecting to Visitors Through Real Stories of Artifacts and Place. Sarah holds her B.A. in American Studies from Franklin and Marshall College and her M.A. in History Museum Studies from the Cooperstown Graduate Program. Alexandra Rasic is the Director of Public Programs at the Homestead Museum, which was her local museum growing up! She started as a volunteer in 1989, biding her time as a student and preparing to get as far away from home as possible until she joined the paid staff in 1995. Her passion for the historic site and collection, Los Angeles, and the Homestead’s paid and volunteer staff have sealed her fate (for now, at least…). Over the years she has volunteered at a number of organizations and worked as a freelance archivist for corporate collections in greater L.A. Volunteering for AASLH since she graduated from the Seminar for Historical Administration in 2004, she also co-teaches the organization’s annual workshop on visitor engagement and exhibits in history museums. She has a B.A. and M.A. in history from California State University, Los Angeles, and is completing a certificate in Innovation and Entrepreneurship from Stanford’s Center for Professional Development. Dennis Vásquez has worked for the National Park Service for over 36 years holding a variety of positions in national parks and central offices, including serving as Superintendent of five national park sites, Petroglyph National Monument, Guadalupe Mountains National Park, Brown v. Board of Education NHS, Bandelier National Monument and White Sands National Monument, and Trustee of the Valles Caldera National Preserve. 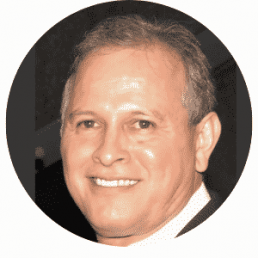 From 2009 to 2011, Vásquez served as the Program Manager for the National Museum of the American Latino Commission and guided the Commission members in preparing and delivering a report to Congress and the White House on the potential creation of a national museum in Washington, DC. From 2004-2009, he served on the Executive Board of the Kansas State Historical Society. In addition since 1992, Vásquez has provided consultation services to protected area managers in Latin America. Scott L. Wands serves as Manager of Grants and Programs at Connecticut Humanities (CTH). He manages CTH’s non-grant-funded services to Connecticut’s cultural community and oversees the $135,000 Quick Grant program. 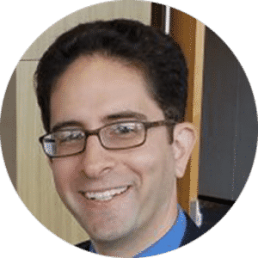 He is co-creator of StEPs-CT, an integrated program of training, mentoring, and grant funding that since 2012 has helped forty-seven Connecticut cultural organizations build professionalism and remain vibrant community resources. 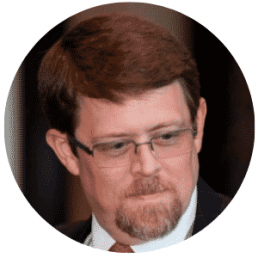 He managed the 2013-14 statewide Connecticut at Work initiative and created the Heritage Resource Center (2008-12), a nationally award-winning web portal. Scott currently serves as a Field Service Alliance board member and as the AASLH Region 2 Chair for Awards (2008-12, 2015-Present). Before joining CTH in March 2008, he worked for five years at Connecticut Landmarks as assistant curator of education. 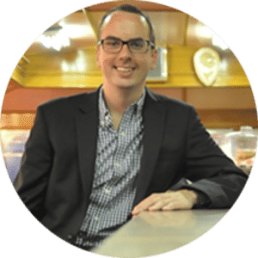 A graduate of Amherst College and the Winterthur Program in Early American Culture, Scott previously served AASLH on the Annual Conference Program (2009-11) and StEPs Online Advisory (2010-12) Committees.